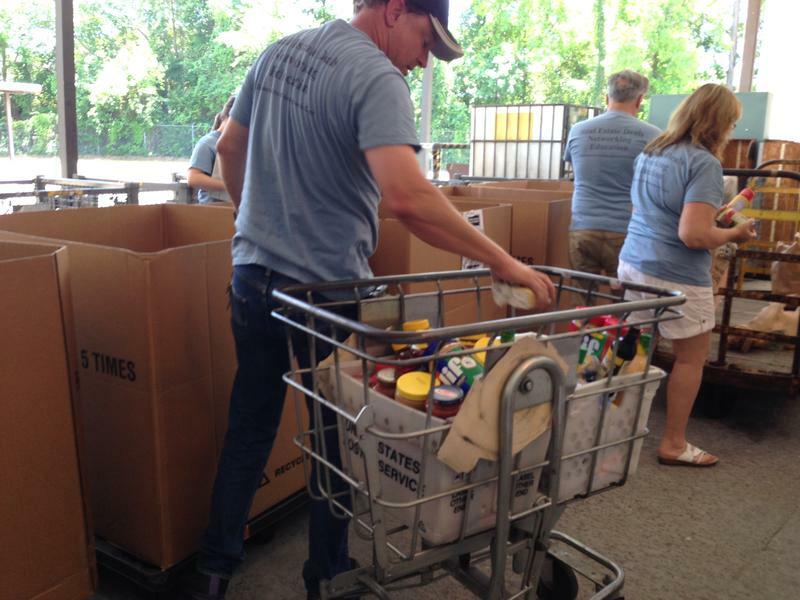 A massive campaign is underway to fill Second Harvest of the Big Bend’s Tallahassee warehouse. The effort involves many area businesses and community leaders. 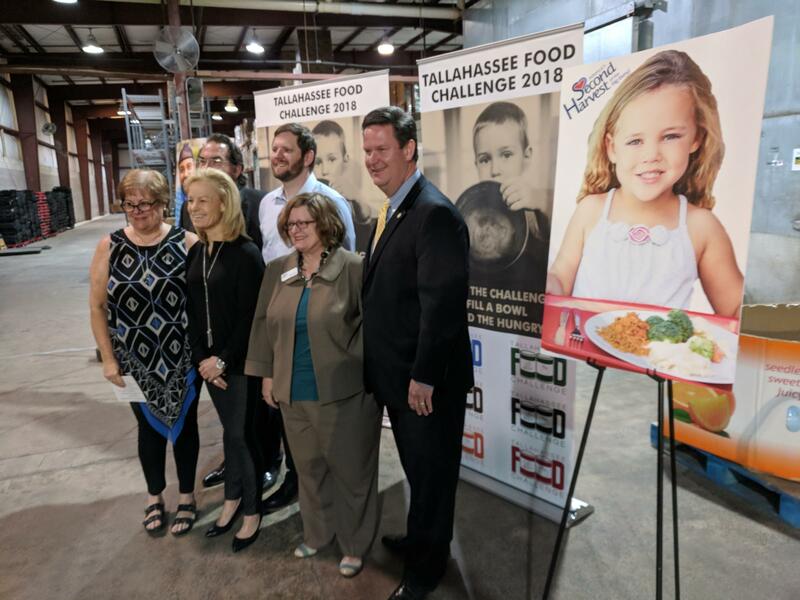 Gathered for the Food Challenge launch in the Second Harvest warehouse: (l. to r.) Lourdes Madsen with Rapid Press Printing; FSU Women's Basketball Head Coach Sue Semrau; Brien Sorne of ALCOM Corporation, campaign coordinator; Jeremy Matlow with Gaines Street Pies; Mark Deckle with Second Harvest; and Leon County Commissioner John Dailey. Leon County Commissioner John Dailey said the culprit is well known. “One out of six families with children is struggling through poverty in our community. That’s unacceptable,” he said. Second Harvest’s Mary Deckle added that means too many meals go unserved every year. Businesses sponsoring the Food Challenge include Gaines Street pies headed by Jeremy Matlow. “We’re taking the challenge as a business to step up and promote this cause,” he said. And FSU Womens’ Basketball Coach Sue Semrau hoped more help would soon be on the way. Cash contributions are preferred, as Second Harvest of the Big Bend can buy four dollars-worth of food for every donated dollar received. For many students in Florida, summer vacation means finally getting out of the classroom and away from tests and homework. But for some, the Summer also means figuring out where the next meal will come from. Now there are efforts underway to address hunger in North Florida—especially at times when a major food program—the school—is no longer in session. Nearly a quarter of Gadsden County residents don't know where their next meal is coming from. Leon County is close behind with 22 percent of residents classified as "food insecure". That's according a recent report from the group, Feeding America. The organization's study shows hunger is widespread in the Big Bend.